The Worlds' #1 online specialty retailer of wall art. 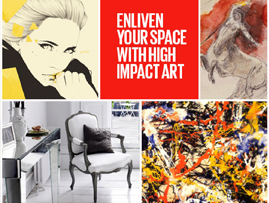 Select from over 1.5 million hand-curated unique images or make your own wall art or customized canvas. Art.com exists to connect you to art you love. This means providing easy access to incredible art images and top-notch craftsmanship. 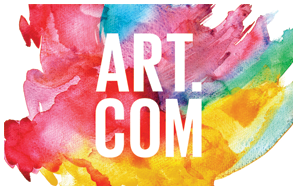 With more than 12 million customers in 120 countries worldwide, Art.com Inc. is the world’s favorite place to discover, experience and buy art images. Whether you've discovered the perfect print in one of our curated collections or choose to transform your own photo into art, Art.com's custom framing, canvas transfer and wood mounting services makes it easy to create a beautiful finished product. Starting with the highest-quality materials, each piece of custom finished art is handcrafted with care by a professional artisan. And it's all backed by a 100% satisfaction guarantee. Because when you find art you love, you'll love your space more... and that's what it's all about. For more information please visit art.com.